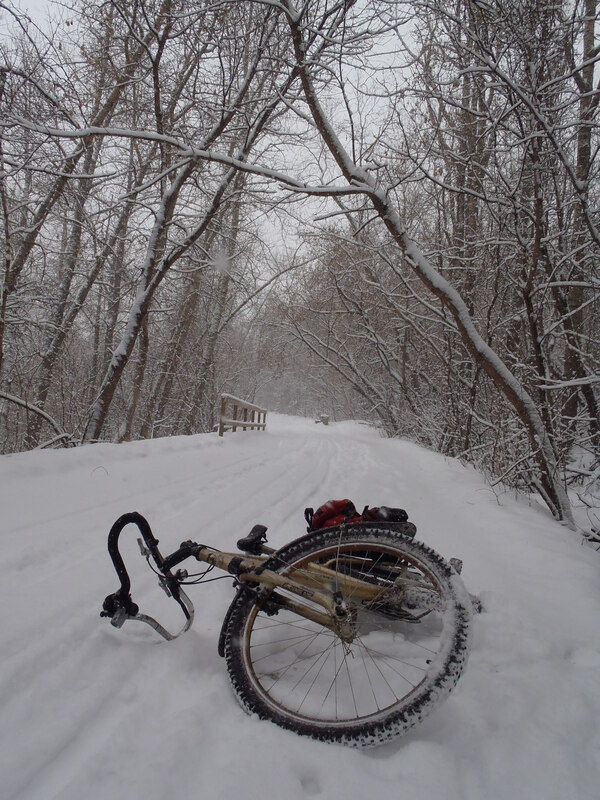 This entry was posted in commuting, Cycling, Spring Cycling, winter cycling and tagged Bicycle, Bike, commuting, cycling, Edmonton, Snow, spring, Winter, winter cycling by tuckamoredew. Bookmark the permalink. I won’t tell you what the weather is like in the UK, suffice to say I am the sort of person that moans whatever the weather! Did you make your own handlebars on the bike in the first picture? I like that style of handlebar but they seem to be very difficult to come by. I bought those bars at a garage sale last year for $5.00. They are Scott AT-4 bars and were probably made about 1989. I don’t know if anybody is making anything similar these days. Jones bars are a little like that but they sure aren’t cheap. Wow, the temperature never dropped below freezing this winter here in Texas. 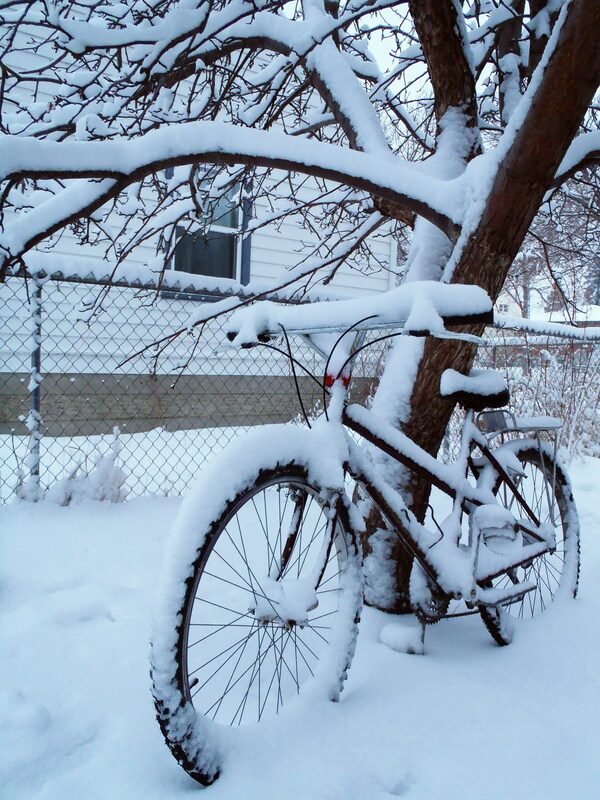 Of course, in a month or so it will be unbearably hot – so it all works out. We had the warmest winter in recent memory. This little snowstorm was more snow than we had throughout most of the winter. Thanks for the link on Jones Bars, they look interesting, If I cannot find one of the old style of 1989 I could always make one myself with the help of a framebuilder. Ah, it’s OK. I was expecting it. Should be all melted by tomorrow. I took one of the road bikes out for a spin today! A month of rain this March in Portland just means lots of puddles and swollen rivers.